Sometimes something as simple as a story can transform your life. 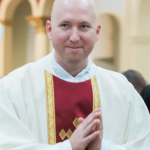 Though I can’t recall how I came across (then seminarian, now priest in the Diocese of Raleigh) Fr. Philip Johnson’s story about the First Friday devotion, I won’t soon forget the details of it because that story changed my life. The story which Fr. Johnson told was really a retelling of an event which happened to Fr. Jorge Garcia on December 14, 2009. On that date, Fr. Garcia was a new priest, having just been ordained 60 hours prior. He was headed down a mountain in a car in the rain on his way back to Rome. Through a series of providential circumstances, Fr. 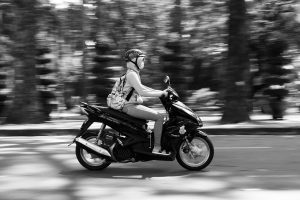 Garcia was led to a dying young motorcyclist, Roseanna, on the roadside. In her final moments, he gave Roseanna absolution. Images drew up in my mind as I listened to the description of the accident scene. I envisioned the twisted bike and the 17-year-old’s broken body lying still on the ground as rain fell from the night sky. I pictured the moment she signaled her desire to receive absolution and what she looked like falling limp in Father’s arms not long afterwards. But what made the greatest impression on me was the conversation Fr. Garcia had with the accident victim’s family. Fr. Garcia, so new to the priesthood, was thrust directly into the roles of confessor, counselor and comforter all in the course of a day. He had to break the devastating news to the young woman’s mother. Finding a phone number in the girl’s cell phone, he made the call. Then, after hearing the details of the tragedy and how her daughter had died in the arms of a priest, Roseanna’s mother told Fr. Garcia of her daughter’s devotion to the Sacred Heart of Jesus. She said that the girl had completed the First Friday Novena twice. Because of that devotion, she said, it was clear that Jesus had fulfilled His 12th promise. Prior to hearing Fr. Johnson’s presentation of this real life story, I was ignorant of the power and importance of the First Friday Novena. As Monsignor John Williams once noted, the true meaning of First Friday has largely been overshadowed (if not outright hijacked) by our materialistic culture. Case in point, googling First Friday in Raleigh, I found all manner of First Friday advertisements for everything from $4 craft brew specials and a free ice cream cone to art exhibits and free music performances. There wasn’t a single link for First Friday Mass times or devotion instructions. Sr. Margaret Mary Alacoque explained that Christ’s inflamed heart was surrounded by a crown of thorns which represented man’s sinfulness and ingratitude. 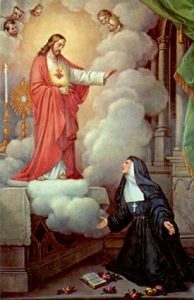 In reparation for these grievous offenses, Jesus told her to establish devotion to His Sacred Heart by means of the Nine Fridays, or First Fridays, practice. Additionally, He requested the establishment of a feast of reparation to be celebrated on the Friday after the octave of Corpus Christi. To those who fulfill His request, Jesus made twelve promises. Fr. Johnson’s narrative made manifest the power of the First Friday devotion. It inspired me to follow Roseanna’s example in fulfilling Jesus’s request. In turn, I’m teaching my children the importance of this beautiful novena. Indeed, a story can transform a person’s perspective and stimulate action. Let’s reclaim the cultural conversation when it comes to the start of each month. 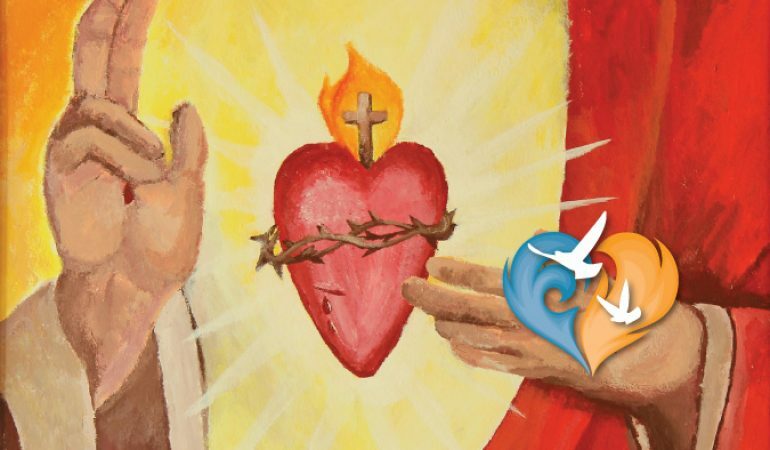 Rather than proclaim the promises of commercial deals, spread the good news that First Fridays belong to the Sacred Heart and that Jesus’s 12 promises hold eternal value. There are First Friday Devotions celebrated throughout the Triangle. Find one nearest to you. Remember to call the parish directly, in advance, to confirm the Mass times. Does your parish offer First Friday services? If so, share that information with fellow Catholics and invite someone new to join in. Let us know, so that we can add it to the IBT calendar.